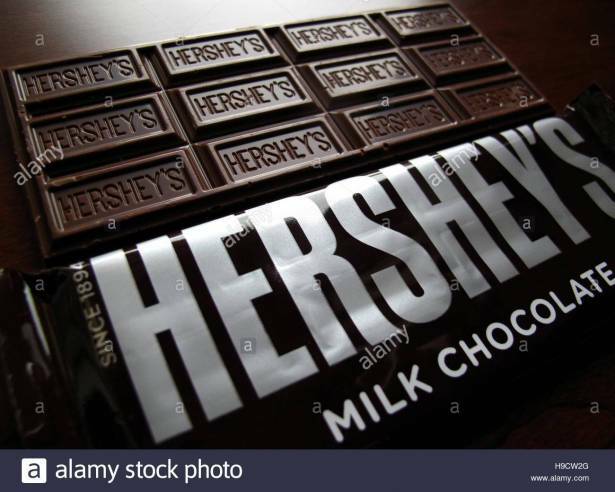 Hershey Trust Co, the charitable trust which controls chocolate maker Hershey Co (HSY.N), said on Wednesday it would sell 4.5 million shares of Hershey's common stock. The trust said it would sell 3 million Hershey's shares to Morgan Stanley (MS.N) and an additional 1.5 million shares to Hershey Company. Hershey, the maker of Reese's Peanut Butter Cups and Hershey's Kisses, said in a separate statement that it will buy the 1.5 million stock from the trust for $106 per share, or about $159 million. Hershey's stock closed at $107.44 on Wednesday. Hershey rejected a $23 billion bid last summer from Oreo cookie owner Mondelez (MDLZ.O), as the Hershey Trust, which can veto a deal, was embroiled in a row with its overseer that resulted in departures at the trust and Hershey's board. Earlier this year, The Hershey Trust added former Goldman Sachs partner James Katzman to its ranks. The trust had also added Melissa Peeples-Fullmore, a Milton Hershey School alumnus and education professional, and Jan Loeffler Bergen, a trained social worker and chief executive officer of non-profit health provider Lancaster General Health as Hershey trustees.